Join us for ZooLights, a new holiday tradition in Baton Rouge. Admissions gates open 5:30 p.m. to 8 p.m. 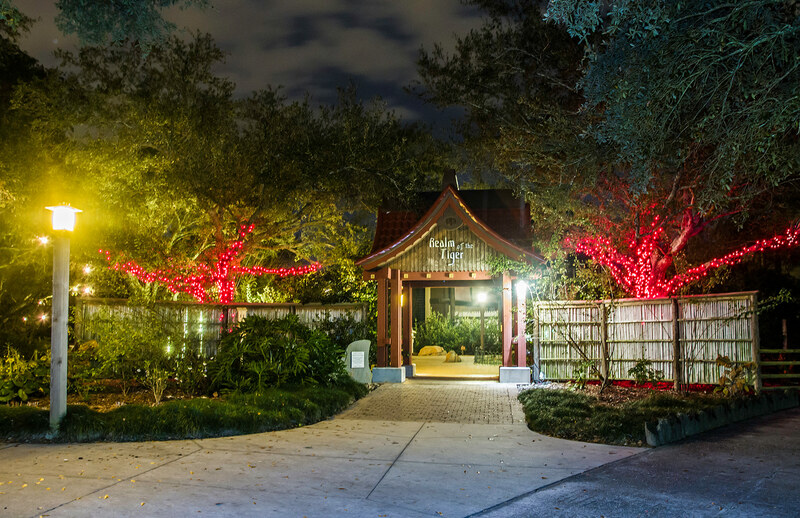 Zoo grounds close at 9 p.m.
ILLUMINATED SCULPTURES: Visitors will find illuminated sculptures representing animals and traditional symbols of the holidays. GIANT SPECTACULARS: Larger-than-life displays capture the imagination of children of all ages. These displays may include: Flamingos, Giraffes, Lions, Tigers, Gorillas, Rhinos, Elephants, Alligators, Giant Santa, Giant Snowmen, Holiday Trains, Santa in Sleigh pulled by Giant Reindeer and Toy Soldiers. Displays can be up to 30 ft. tall! ANIMATED SPECTACULARS: Animated displays add additional entertainment value to our event. The use of high-wattage, computer-controlled displays will provide exciting animation to displays.